Iberia Bank Energy Lending Center Houston Texas. New Mexico Sky" was photographed July 2010 near Tatum New Mexico. 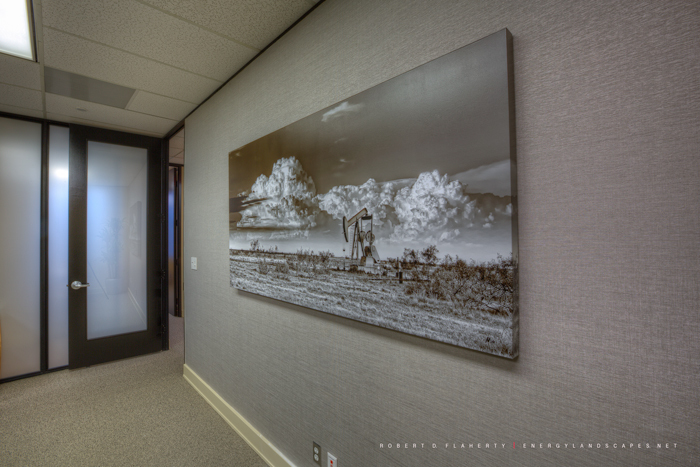 The print is a 40x80" 2:1 panorama on fine art canvas with a two inch stand-off. Photo © copyright by Robert D. Flaherty.